Over the last several years and millions of employees trained, diversity training has come under attack in the press, on radio shows, and inside organizations as having no real evidence of its value on the financial bottom-line. Many have called it a waste of time and resources. The only way to determine that skill development and diversity training are having the desired effect is to use formal training evaluation processes and ROI-based cost-benefit analysis methods to evaluate diversity training efforts. The results of these activities can confirm the positive effects of diversity training and identify improvements to make it better. Professional Diversity training measurement and evaluation strategies can contribute to maximizing an organization's overall return on investment (ROI) or it's Return on Mission (ROMtm). Today, Diversity training programs have to prove their worth and value like any other part of the business. 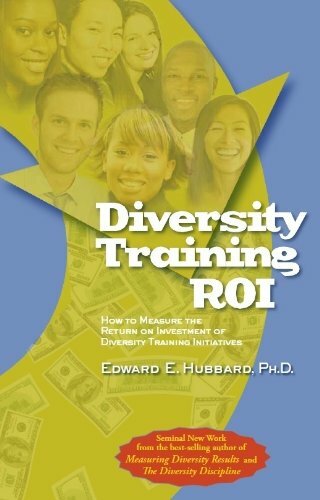 In this book, Dr. Hubbard will show you how to address these issues with "evidenced-based" Diversity Training Return on Investment (DTROI®) evaluation techniques and proven professional measurement processes that drive business performance and strategic results!